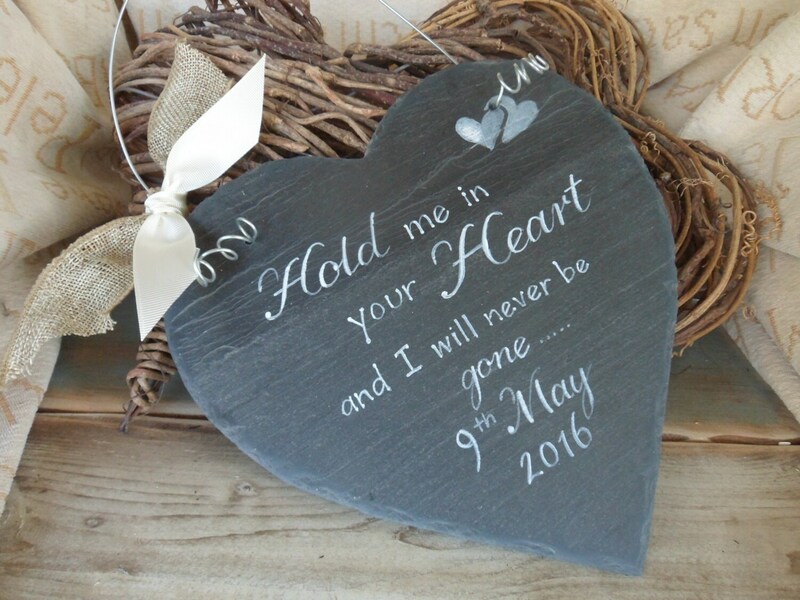 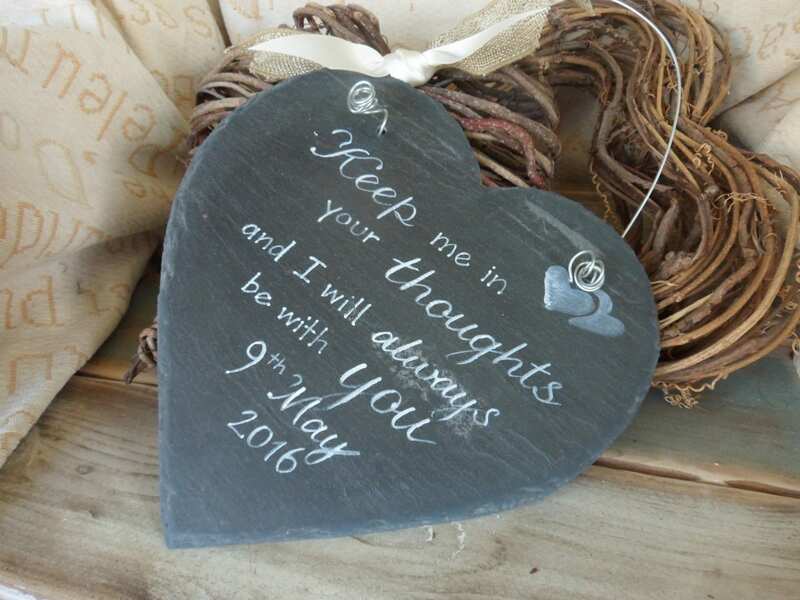 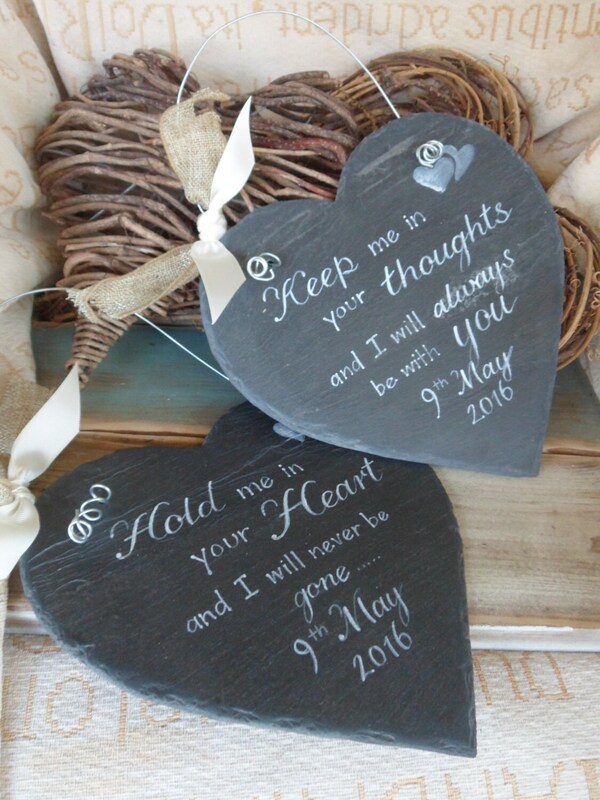 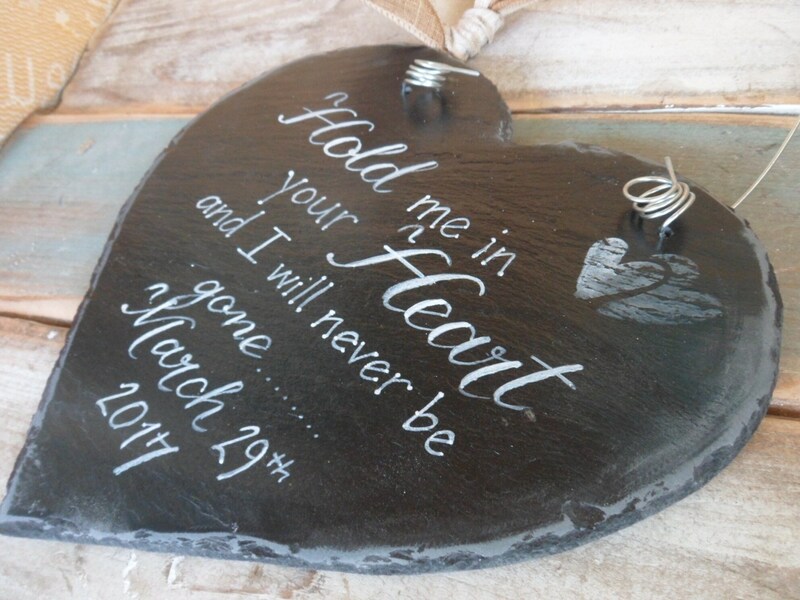 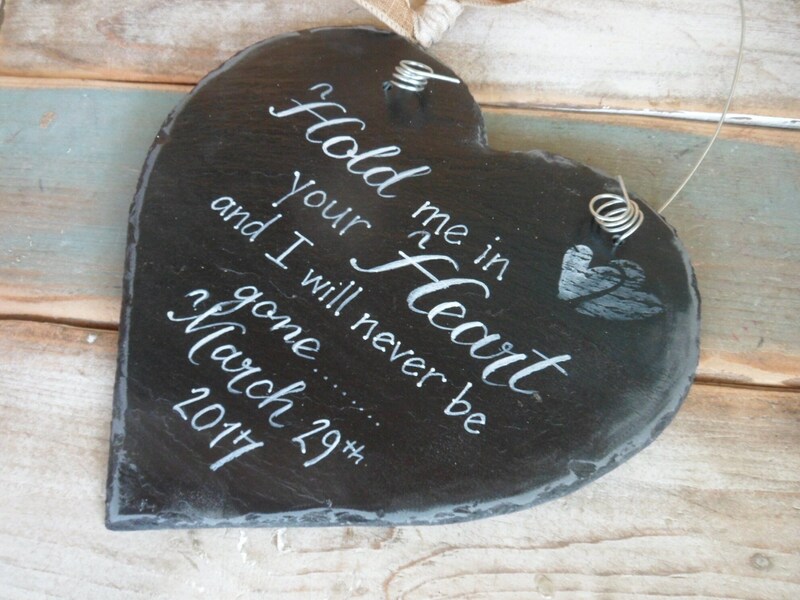 Hold me in your heart and I will never be gone 22cm hanging slate hearts with memorial quotes, a beautiful handmade and thoughtful keepsake. 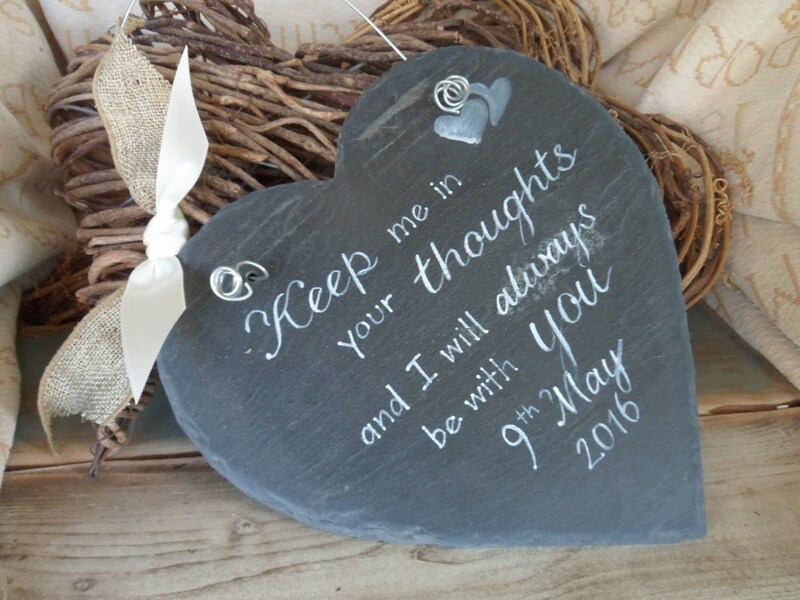 Our 22cm slate heart is the perfect gift for those special people that mean so much to you. 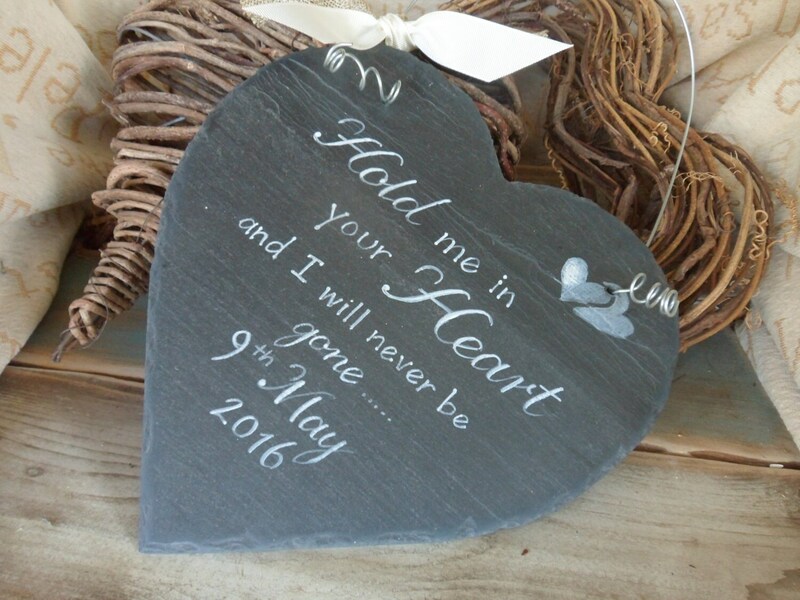 Each slate can be customised and adapted to suit you, just send us a message and we will do our utmost to help.